Click here for Concerts By Date. Click here for Arts/Special Events and News. This page contains information on arts and special music/performance-related events and activities. Artwalk information and the listings of free museum days have been carried over from the summer "Extras" page, along with a couple of other categories of other "freebies." Additional materials and the most current updates can be found on the site's Twitter and/or Facebook pages. PLEASE REMEMBER: Although every attempt is made to bring you the most current event information possible, ALL SCHEDULES ARE SUBJECT TO CHANGE. IT IS RECOMMENDED THAT YOU CONFIRM ANY EVENT YOU WISH TO ATTEND. A phone number and web link are included if available. Also, if you'd like information on other free events, products and activities on an ongoing basis during the year, plus the latest site updates, follow www.dorothyswebsite.org on Twitter and/or Facebook. Visit www.twitter.com/dorothyswebsite and/or www.facebook.com/dorothyswebsite (the information also can be viewed near the top of the concert pages). And . . . if you'd like an event posted, please send an e-mail with the information along with a contact name and phone number to information@dorothyswebsite.org. Thanks! Click on a category below to go directly to a particular section, or continue scrolling down the page. In progress through April 29 - Ziering-Conlon Intiative for Recovered Voices at the Colburn School. The "Recovered Voices" course revolves around LA Opera Music Director James Conlon's twenty-year mission on behalf of the composers whose works were suppressed by the Nazis. Lectures take place on Mondays from 7 - 8:50 p.m. in Mayman Hall at the Colburn School in downtown Los Angeles. Lectures began in January; see website for full schedule of programs through April. There is no fee for the lectures, but registration is required. The Colburn School is located at 200 South Grand Avenue in downtown Los Angeles. Information: (213) 621-1050 or www.colburnschool.edu/lifelong-learning/ziering-conlon-initiative-recovered-voices. April 4 - UCLA Documentary Screenings. At 1 p.m. in Room 1230, Schoenberg Music Building on the UCLA campus, a screening of "Sakthi Vibrations." The ethnomusicology documentary reveals how two progressive Tamil Catholic nuns integrate folk arts performance with social analysis, micro-economic sustainability, self-esteem and community development to help advance Dalit women (outcasts or untouchables) in Tamil Nadu, India. See additional details on website. Information: www.schoolofmusic.ucla.edu or http://schoolofmusic.ucla.edu/events. April 6 and 7 - Brewery ArtWalk. The Brewery ArtWalk is a twice annual open studio weekend in the world's largest arts complex. The event will take place from 11 a.m. - 6 p.m. both days and will include the opportunity to see news art works, speak with artists and purchase artworks directly from the artists' studios. Admission and parking are free; the complex is located at 2100 North Main Street off the 5 Freeway at Main Street in Los Angeles. Information: (323) 638-9382, http://www.breweryartwalk.com or www.facebook.com/breweryartwalk. April 6 and 7 - Opera UCLA New Works Reading - Juana. Opera UCLA will present two workshop readings of the new opera "Juana," based on the novel Sor Juana's Second Dream by UCLA Professor Alicia Gaspar de Alba. The opera tells the story of Sor Juana Ines de la Cruz, a 17th-century feminist genius whose life was marked by repeated conflict with men of the Inquisition. "Juana" is ultimately planned as a fully-staged, evening-length performance to be presented in November 2019. There will be a Q&A session after the workshops. Workshops will take place at 8 p.m. on Saturday and 4 p.m. on Sunday in Schoenberg Hall on the UCLA campus. See website for additional details. Information: www.schoolofmusic.ucla.edu or http://schoolofmusic.ucla.edu/events. April 11 - Yucaipa Performing Arts Center Ribbon Cutting Ceremony. The Ribbon Cutting Ceremony for the new Yucaipa Performing Arts Center will take place from 3 - 6 p.m. The formal ceremony will take place at 3 p.m., and tours will be offered hourly until 6 p.m. The facility also will be part of the Yucapia Music and Arts Festival (see concert listings for details) the first weekend of May. The YPAC is located at 12062 California Street. Information: (909) 790-7460 or www.yucaipa.org. April 12 and 13, April 16 - UCLA Lectures and Symposia. On April 12 and 13, Music and Ecstasy: Celebrating A.J. Racy's 40 Years at UCLA. The two-day conference and concert series will celebrate UCLA Distinguished Professor A.J. Racy's four decades of teaching in the Department of Ethnomusicology at UCLA. The conference on April 12 will feature papers by international scholars and more than a dozen of his former students who graduated from 1988 to 2017. The conference will take place from 8:30 a.m. - 6 p.m. on Friday and 9 a.m. - 5 p.m. on Saturday in 1325 Schoenberg Music Building on the UCLA campus. There also will be a concert at 8 p.m. on Friday in Schoenberg Hall (information in concert listings). See additional details on website. On April 16, Composer Henry Threadgill in Residence. Pulitzer Prize-winning composer Threadgill will discuss his music and career with Distinguished Professor James Newton. A Q&A will follow. The program will take place at 7:30 p.m. in Room 1230 of the Schoenberg Music Building on the UCLA campus. Information: www.schoolofmusic.ucla.edu or http://schoolofmusic.ucla.edu/events. April 12, 13 and 14 - OC Fair Imaginology. OC Fair Imaginology is a re-imagined Youth Expo featuring family-friendly S.T.E.A.M.-related exhibits, hands-on activities, entertainment, competitions and contests, and more. The event will take place at the OC Fair and Event Center in Costa Mesa on Friday from 9 a.m. - 3 p.m., Saturday from 10 a.m. - 5 p.m., and Sunday from 10 a.m. - 5 p.m. Admission is free and parking is $8 on Saturday and Sunday. See website for directions to the fair grounds and daily schedules of events/programs. Information: (714) 708-1500, www.ocfair.com/steam or www.ocfair.com. April 12, 13 and 14 - L.A. Art Book Fair 2019. The LA Art Book Fair will take place Friday from 1 - 7 p.m., Saturday from 11 a.m. - 7 p.m. and Sunday from 11 a.m. - 6 p.m. at the Geffen Contemporary at MOCA, 152 North Central Avenue in the Little Tokyo area in downtown Los Angeles. The Fair is among the leading international gatherings for the distribution of artists' book, celebrating the full breadth of the art publishing community. There will be 390 exhibitors from 31 countries including a broad range of artists and collectives, small presses, institutions, galleries, antiquarian booksellers and distributors. Information: www.printedmatterartbookfairs.org or http://www.moca.org, programs. April 13 - May 26 - Orange County Imagination Celebration. Arts Orange County and the Orange County Department of Education will present many free or low-cost arts and cultural events for families as part of the OC Imagination Celebration. Programs will take place in various Orange County cities throughout the period. Free music events will be included in the listings. Visit the website listed for further information and the full schedule of events. Free April events include the Children's Art Festival and Earth Day Youth Art Show in Buena Park on April 13, the Family Game and Art Day at the OC Great Park in Irvine on April 14, "Using at to Inspire Poetry" at the Hilbert Museum in Orange on April 26, the VSA Festival in Santa Ana on April 27, Mission Viejo Family Art Day on April 27, the Imagination Celebration at the Laguna Art Museum in Laguna Beach on April 27, and the Young Masters Art Show in Irvine on April 27. Information: www.artsoc.com/imagination-celebration.htm or www.sparkOC.com. April 14 - MOCA Sunday Studio. Sunday Studio is MOCA's free drop-in event featuring art activities for makers of all ages and experience levels. The program includes family-friendly tours of the museum, art-making explorations, music, food trucks, and Toddler Town - a space with activities designed for small hands. For this Sunday Studio workshop, join artist and educator Michelle Antonisse in creating wearable pieces of art. The program takes place from 1 - 4 p.m. at MOCA Grand Avenue, 250 South Grand Avenue in downtown Los Angeles. Information: (213) 621-1745 or http://www.moca.org. April 19 - UCLA Hammer Museum Arts Party: Wasteland. The yearly gathering for college students from across Southern California will take place from 7 - 10 p.m. The event will include art workshops, music and after-hours access to the galleries. The UCLA Hammer Museum is located at 10899 Wilshire Boulevard in Westwood. See website for food, bag check and photo policies. Information: (310) 443-7000 or www.hammer.ucla.edu. April 19 - MOCA Education Symposium. MOCA Education Symposium: Creating Public Value in the Age of Uncivil Discourse. How might museums foster more inclusive, open dialogue and greater cultural understanding as these critical elements of civil discourse appear to fade from public life? Learn how MOCA and the Minneapolis Institute of Art are impacting their communities through education initiatives that help people better understand one another. There will be panel discussion from 9 a.m. - noon and lunch/afternoon workshops from noon - 3 p.m. Admission is free WITH REGISTRATION. Space is limited; check website listed for registration information. 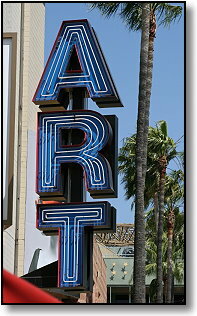 The Museum of Contemporary Art (MOCA) is located at 250 South Grand Avenue in downtown Los Angeles. Information: (213) 621-1745, www.moca.org/education/symposium or http://www.moca.org. April 22 - 26, 27 and 28 - Our L.A. Voices: Grand Park Pop-Up Arts and Culture Fest + Lunchtime Workshops. Our LA Voices is a regional arts gathering which will focus on the diverse and powerful artistic talent in Los Angeles County. The free arts festival will feature short film, dance, music, spoken word and theater performances along with visual artwork by LA artists. The event will take place throughout Grand Park in downtown LA on Saturday and Sunday, April 27 - 28, from 11 a.m. - 5 p.m. See website for participating artists/performers. The 2019 festival theme is "Origin Stories." Also this year there will be a series of lunchtime workshops from noon - 1 p.m. on April 22 - 26. The free workshops will focus on creative practice and the business side of making art in LA. Registration is required and parking validation will be provided for atttendees. See website for workshop and parking information. Information: (213) 972-8080 or www.grandparkla.org. April 26 - MOCA Teen Night 2019. The event will take place from 7 - 10 p.m. at the Museum of Contemporary Art (MOCA), 250 South Grand Avenue in downtown Los Angeles. The program includes free admission, art-making workshops, live musical performances, refreshments and an art show with work by teens. A signed waiver is required to participate and can be downloaded from the Museum website. Information: (213) 621-1745, www.moca.org/program/teen-night-2 or http://www.moca.org. April 27 - South Pasadena Eclectic Music Festival and Art Walk 2019. The Eclectic Music Festival and Art Walk will take place from 3 - 10 p.m. in a variety of locations in the downtown South Pasadena area. There will be more than 50 bands/musicians performing on multiple stages around town, plus open houses at art galleries and studios, most within a short walking distance. Check website for full schedule, and the event is easily accessible from the South Pasadena gold line station. Information: (626) 441-2339, www.theeclectic.rocks or www.southpasadena.net. April 27 and 28 - San Dimas Festival of Arts 43rd Annual Fine Art Show. The show, with the theme "California Images and History," will take place on Saturday from 9 a.m. - 9 p.m. and Sunday from 10 a.m. - 4 p.m. at the San Dimas Civic Center Plaza, 245 E. Bonita Avenue. The theme will be demonstrated by artists who portray the vast diversity of the state, and there will be artist lectures, a trading post and more. This year's featured artist is Mian Situ. Information: (909) 599-5374 or www.sandimasarts.org. May 3 - SFS Art Fest. The Santa Fe Springs Art Fest 2019 will take place on May 3 from 3 - 11 p.m. at the Clarke Estate, 10211 Pioneer Boulevard. There will be pop-up galleries, live stage entertainment, demonstrations, food vendors, chalk art displays and more. There also will be a special collectors' preview night on May 2. See details and featured artists on website. Information: www.artcrawlfest.com or www.santafesprings.org. May 4 - Free Comic Book Day. Free Comic Book Day is usually the first Saturday in May. Select locations including libraries and comic book stores will be giving away free comic books, one per person. Some locations celebrate at limited times on other days during the week. See website for participating locations near you. Information: http://www.freecomicbookday.com. May 4 and 5 - Family Weekend Workshops at The Broad. The Broad's Family Weekend Workshops offer free art-focused activities and cooking demonstrations. Families with program wristbands also receive free access to the exhibit "Soul of a Nation." Workshops give families the opportunity to make their own souvenirs to take home inspired by works in the Broad collection and the special exhibition "Soul of a Nation: Art in the Age of Black Power 1963 - 1983. Family Weekend Workshops are for families with children ages 3 and up. Reservations are required, with walk-up entries available on a first-come basis. Tickets are available every thirty minutes from 11 a.m. - 4 p.m. The Broad is located at 221 S. Grand Avenue in downtown Los Angeles. Information: (213) 232-6200 or http://www.thebroad.org. May 4 and 5 - Sierra Madre Art Fair. Sierra Madre's 57th annual celebration of the arts will take place Saturday from 9:30 a.m. - 5 p.m. and Sunday from 9:30 a.m. - 5 p.m. in Memorial Park, 222 West Sierra Madre Boulevard (at the Civic Center). There will be over 70 artists displaying their works, craft projects, food/drink vendors and live music throughout the day. The full entertaiment schedule should be available online. Information: (626) 355-7186, www.sierramadrelibraryfriends.org or www.cityofsierramadre.com. May 10, 11 and 12 - Sunset Beach Art Festival. The Sunset Beach Art Festival will take place on Friday at 6:30 p.m. (gallery artist awards program), and on Saturday from 9 a.m. - 6 p.m. and Sunday from 9 a.m. - 5 p.m. along the greenbelt between N. Pacific and S. Pacific from Broadway to 7th Street, community center and Firehouse Gallery. There will be works by more than 150 artists for sale, including paintings, jewelry and handmade clothing. The Community Center and Firehouse are on 12th Street, and there also will be entertainment and a juried exhibit there, plus the gallery artist awards program at 6:30 p.m. on Friday which is open to the public. Parking is available at Peter's Landing and the parking lot at the end of Warner with regular shuttles during the hours of the festival. Information: (562) 537-8295 or www.sunsetbeachartfestival.net. May 11 - Anaheim ACE (Art Crawl Experience). The Art Crawl Experience is an art walk and arts festival which takes place from 6 - 10 p.m. in and around the Center Street Promenade (south of Lincoln east of Harbor Blvd). The event includes ongoing entertainment, food trucks, art exhibits and displays, open galleries, pop-up galleries and more. Information: (714) 956-3586 or www.downtownanaheim.com. May 18 and 19 - Downtown Burbank Arts Festival. The Downtown Burbank Arts Festival will take place both days from 11 a.m. - 7 p.m. on San Fernando Boulevard from the Burbank Town Center to the Holiday Inn. The event will feature special effects artists and animators, plus regional artists displaying paintings, sculptures and photographs, chalk artists and handmade product artisans. Information: (818) 238-5180, www.dtnbur.com or www.downtown-burbank.org. May 18 and 19 - Beverly Hills Art Show. The event takes place from 10 a.m. - 6 p.m. both days. Nearly 250 artists exhibit their works outdoors in Beverly Hills in the grassy area of Beverly Gardens Park along Santa Monica Boulevard between Rodeo and Rexford Drives. There will also be musical entertainment and food available for purchase. Information: (310) 285-6830 or www.beverlyhills.org, go to "exploring." May 18 and 19 - Art Sea. Marina Del Rey's arts party on the beach expands to two days this year, taking place from 11 a.m. - 10 p.m. on Saturday and 11 a.m. - 6 p.m. on Sunday. The event will take place on Marina "Mother's" Beach, 4101 Admiralty Way, Lots 10 and 11. There will be pop-up galleries, art installations, interactive workshops, marketplace, food trucks, a beer and wine garden, KCRW DJ and live music all day. Information: www.artsea-mdr.com or www.visitmarinadelrey.com. LONG BEACH - KNIGHTS OF THE ROUND (TURN)TABLE. Knights of the Round (Turn)Table is a new monthly event modeled after a book club. Each month a different historically significant album is chosen, and participants listen to both sides and discuss it. Back in the day, people used to listen to the records while staring at the album artwork and liner notes. The programs seek to recreate this experience in the company of other music lovers. The March album was Led Zeppelin IV by Led Zeppelin (sometimes known as Led Zeppelin IV, Untitled, Four Symbols or Zoso). The April program will take place April 24 from 6:30 - 8:30 p.m. in the bar at Phil Trani's Restaurant, 3490 Long Beach Boulevard. The album will be Joshua Tree by U2. Discussions are led by Derik Lason. Information: (562) 595-0081 or www.bixbyknollsinfo.com. LONG BEACH - SHAKESPEARE ALOUD. "Shakespeare Aloud." Each month Shakespeare Aloud hosts readings of Shakespeare's plays. Community members are invited to participate as readers or audience members. Events will take place at 1 p.m. (until about 3 p.m.) at the Los Altos Neighborhood Library, 5614 Britton Drive. Though some copies of the materials will be available, readers are encouraged to bring their own copies of the plays. Upcoming readings will be: April 6 - Henry VIII, first half, April 20 - Henry VIII, second half, May 4 - Julius Caesar, first half and May 18 - Julius Caesar, second half. Information: (562) 985-7000 or www.carpenterarts.org/artsforlife. LOS ANGELES COUNTY(VARIOUS LOCATIONS) - L.A. OPERA "OPERA TALKS." "Opera Talks" are 50-minute inte ractive presentations led by members of LA Opera's speakers bureau. The talks take place monthly at a number of Los Angeles County libraries, and upcoming dates are listed here. Phone numbers included are for the library in which the lecture takes place. March programs will include: March 28 - Westwood Branch Library at 6:30 p.m. 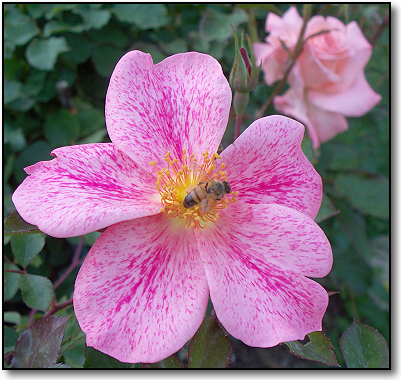 Specialty Topic: The Diva, (310) 474-1739; April 2 - Redondo Beach Library at 6:30 p.m. Specialty Topic: Great Sopranos of the Past 100 Years, (310) 372-1171; April 3 - Torrance Library at 7 p.m. Specialty Topic: History of Opera, (310) 618-5959; April 9 - Platt Library, Woodland Hills, at 6:15 p.m. Topic: El Gato Montes: The Wildcat, (818) 340-9386; April 13 - El Dorado Neighborhood Library, Long Beach, at 2 p.m. Topic: El Gato Montes: The Wildcat, (562) 570-3136; April 18 - Westwood Branch Library at 6:30 p.m. Topic: El Gato Montes: The Wildcat, (310) 474-1739; April 22 - Burbank Buena Vista Branch Library at 7 p.m. Topic: El Gato Montes: The Wildcat, (818) 238-5620; April 28 - Crowell Library, San Marino at 2 p.m. Topic: El Gato Montes: The Wildcat, (626) 300-0777; May 4 - Torrance Public Library at 2 p.m. Topic: El Gato Montes: The Wildcat, (310) 618-5959; May 5 - St. Isodore Historical Plaza, Los Alamitos at 3 p.m. Topic: Intro to Zarzuela/El Gato Montes: The Wildcat, (562) 596-9918; May 7 - Redondo Beach Library at 6:30 p.m. Topic: El Gato Montes: The Wildcat, (310) 372-1171; May 9 - Yorba Linda Public Library at 7 p.m. Topic: La Traviata, (714) 777-2873; May 11 - El Dorado Neighborhood Library, Long Beach at 2 p.m. Topic: La Traviata, (562) 570-3136; May 11 - Brentwood Public Library at 2 p.m. Topic: El Gato Montes: The Wildcat, (310) 575-8273; May 11 - Hyde Park Branch, LA Public Library, at 2 p.m. Topic: El Gato Montes: The Wildcat, (323) 750-7241; May 14 - Platt Library, Woodland Hills, at 6:15 p.m. Topic: La Traviata, (818) 340-9386; May 20 - Burbank Buena Vista Branch Library at 7 p.m. Topic: La Traviata, (818) 238-5620; May 23 - Westwood Branch Library at 6:30 p.m. Topic: La Traviata, (310) 474-1739; and May 25 - Oxnard Public Library at 3 p.m. Topic: La Traviata, (805) 385-7500. Information: (213) 972-3157 or www.laopera.org, go to "Community." VARIOUS LOCATIONS - TARGET FREE MUSEUM DAYS. Target generously sponsors many free museum day programs throughout Southern California. The following locations offer free museum days sponsored by Target: In Los Angeles, there is the First Sundays program at the California African American Museum in Exposition Park (Information: (213) 744-2132 or www.caamuseum.org) and the Target Free Second Saturdays program at the Japanese American National Museum in Little Tokyo (Information: (213) 625-0414 or www.janm.org). Similar programs are also offered at the Children's Museum in La Habra, the Museum of Latin American Art in Long Beach, and the Orange County Museum of Art in Newport Beach. The Children's Museum, 301 S. Euclid, offers Target Free 1st Saturdays. Information: (562) 905-9793 or www.lahabracity.com/section.cfm?id=41. At the Museum of Latin American Art, 628 Alamitos, Target Free Sundays are every Sunday of the month with free admission and special programs. Information: (562) 437-1689 or www.molaa.org. The Orange County Museum of Art offers Target Free Second Saturdays, with free admission and family-friendly activities. Information: (949) 759-1122 or www.ocma.net. 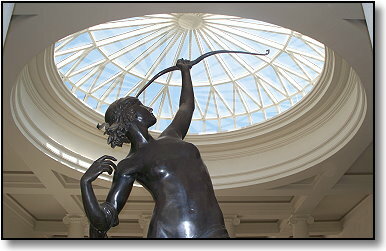 Also, check the LACMA website for the next Target Free Holidays Monday at The Los Angeles County Museum of Art (LACMA). Information: (323) 857-6000 or www.lacma.org. The following is a partial listing of art walks. It is recommended that you confirm the availability of all events prior to attending since days and times may change periodically. ANAHEIM - Downtown Anaheim ArtCrawl Experience. This event takes place quarterly on the second Saturday of the month from 5 - 8 p.m. The progressive art walk will begin at the Downtown Anaheim Community Center, 250 Center Street. The next event will take place in May. Information: (714) 956-3586 or www.downtownanaheim.com, go to "Events" or "ArtCrawl Experience." 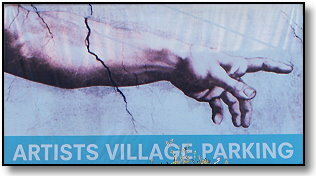 LOS ANGELES (DOWNTOWN AND VICINITY) - Leimert Park Village Art Walk. The Leimert Park Village Art Walk takes place every last Sunday of the month along the streets of 43rd Place and Degnan Boulevard from 2 - 8 p.m. Local cultural spaces, art studios and storefronts will host art exhibits, spoken word and music programs, children's activities and more. Information: www.leimertparkbeat.com/events. SAN CLEMENTE - Village Art Fair. First Sunday of the month from 10 a.m. - 4 p.m. along Avenida Del Mar. 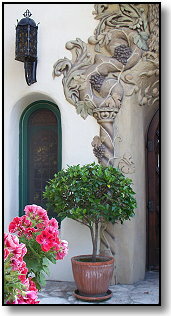 Information: (949) 218-5378 or www.villagesanclemente.com. VENICE - Venice Art Crawl. The Venice Art Crawl takes place quarterly on the third Thursday of month from 6 - 10 p.m. at locations north and south of Windward Avenue. Visit site for current locations and upcoming dates. Information: www.veniceartcrawl.com. WHITTIER - Whittier Art Stroll Uptown. The Whittier Art Stroll Uptown takes place from 5 - 9 p.m. on the second Wednesday of the month. The event includes art from more than 40 artists, plus live music, treats, a variety of vendors and more. A variety of events are hosted primarily at local businesses. The event takes place in Historic Uptown Whittier, Greenleaf Avenue and vicinity (a map is available on the Facebook page). Information: www.artstrolluptown.com or www.facebook.com/artstrolluptown. 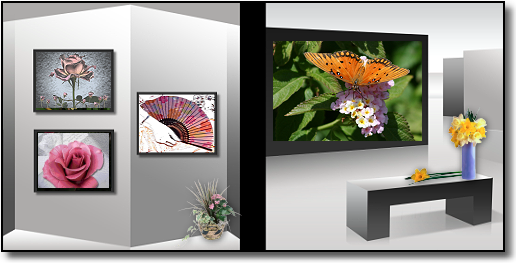 If your city has a monthly or regularly-scheduled arts open house/art walk you'd like listed, please send an e-mail message to the site using the link at the bottom of the page. Information will be posted as it is received! The following is a partial listing of free museum days. It is recommended that you confirm the availability of all events/open days prior to visiting the museum since free entry days and times may change periodically. CHINO YOUTH MUSEUM - The Chino Youth Museum offers Free First Friday programs from 3 - 5 p.m. Programs include art projects, snacks, time to explore the museum, exhibits and entertainment. Also for July, first 1000 people at Museum get in free. The museum is located at 13191 6th Street in Chino, one block north of the Chino Transit Center. Information: (909) 464-0499. FIRE STATION/MUSEUM OPEN HOUSES - Two area historical fire stations offer free tours on Saturdays. In San Pedro, Old Fire Station 36 (located at 638 Beacon Street) is open from 10 a.m. - 3 p.m. In Hollywood, Old Fire Station 27 is open from 10 a.m. - 4 p.m. Both offer a variety of artifacts and exhibits. Information: (323) 464-2727 or www.lafdmuseum.org. HOMESTEAD MUSEUM - Free admissions and programs like behind-the-Scenes tours and children's storytelling hours. Some programs require reservations. The museum is at 15415 East Don Julian Road in the City of Industry. Information: (626) 968-8492 or www.homesteadmuseum.org. LA HABRA CHILDREN'S MUSEUM - The Children's Museum at La Habra offers free admission on the first Saturday of each month for the Target Free Saturdays program. Check website for upcoming dates. Information: (562) 905-9793 or www.lahabracity.com/section.cfm?id=41. MULTIPLE LOCATIONS - BANK OF AMERICA "MUSEUMS ON US" PROGRAM - Over 70 museums nationwide are now offering free admission on the first weekend of every month for anyone showing a Bank of America check, ATM or credit card. Visit website for list of museums. Information: www.bankofamerica.com/museums. MUSEUM OF CONTEMPORARY ART (MOCA). Admission to the Museum of Contemporary Art is free on Thursdays from 5 - 8 p.m., 250 S. Grand Avenue. Information: www.moca.org. Having a birthday soon? Why not celebrate? Many organizations offer free food or other goods on your birthday if you give them an e-mail address/join their e-clubs. Examples of some available offers are listed below. Be sure to read all the details/conditions on the company/organization's website before agreeing to any offers. Offers may change periodically without notice. ACAPULCO RESTAURANTS - Free guacamole now, free entree on your birthday when you sign up for the Acapulco e-mail club. Information: www.acapulcorestaurants.com. BASKIN ROBBINS - Free ice cream on your birthday at Baskin Robbins when you sign up on their website. Information: www.baskinrobbins.com. BENIHANA RESTAURANTS - Birthday Dinner Offer. Sign up for Benihana's "Chef's Table" newsletter with an e-mail address, get a certificate for $30 free toward your birthday dinner. Policies for the offer have changed recently in that your offer is only good if other paying customers are dining with you; check website for most current information. Information: www.benihana.com. BJS RESTAURANTS - Get a free Pizookie dessert on your birthday at BJs Restaurants when you join their e-club. Information: www.bjsrestaurants.com. BOOMERS PARKS - Get a free unlimited 4-hour play pass good on all attractions when you join the Boomers discount club. The pass is good on any day during your birthday month. Go to the website, pick a location, and enroll online. Information: www.boomersparks.com. CINNABON - Sign up for Cinnabon's e-mail list and get a free Minibon now plus an iced coffee on your birthday. Information: www.cinnabon.com. DEL TACO - Get two free chicken soft tacos now plus a birthday shake for joining the Del Taco Raving Fan eClub. Information: www.deltaco.com/connect.html. EL TORITO RESTAURANTS - Free guacamole now, free entree on your birthday when you sign up for the El Torito e-mail club. Free birthday meal no longer advertised, so you'll have to wait until your birthday to see if a free entree coupon arrives. Information: www.eltorito.com. FAMOUS DAVES - Get a free burger or sandwich on your birthday when you sign up for the P.I.G. (Pretty Important Guest) e-mail club. Information: www.famousdaves.com or www.facebook.com/famousdaves. FARRELL'S ICE CREAM PARLOR - Sign up for Farrells Fan Club e-mail and receive a free small sundae on your birthday. Information: www.farrellsusa.com. GOLDEN SPOON YOGURT - Get a free frozen yogurt on your birthday when you sign up for Golden Spoon Yogurt's G Club. Information: www.goldenspoon.com. HOOTERS - Join Hooters Hoot Club, get special e-mail offers and a free entree (up to $7.99 value) on your birthday. Information: www.hooters.com. JERSEY MIKE'S - Join Jersey Mike's e-mail club, get special e-mail offers and a free sub and a 22 oz. drink on your birthday. Information: www.jerseymikes.com. PANERA - A "My Panera Rewards" card can be picked up at any location, or sign up online for the program. Free pastry on your birthday. Information: www.panerabread.com. RA SUSHI - Sign up for RA Sushi's "The Hook Up" e-mails and get a certificate worth $20 during your birthday month. Information: www.rasushi.com. RED ROBIN RESTAURANTS - Free burger on your birthday. Stop in any Red Robin and pick up a Red Royalty card, then register the card online. Information: www.redrobin.com/redroyalty. RUBIOS - Rubios offers a free taco upon sign-up to their Beach Club e-mail, plus a free birthday meal. Also news on free products testings, other events. Information: www.rubios.com. SAN MANUEL CASINO - Go to San Manuel on your birthday and get a $10 food credit and a chance to spin the wheel for up to $100 in free slot play (but also can be $5). Club Serrano membership required, but membership is free. Information: www.sanmanuel.com. SCHLOTZSKY'S DELI - Free small sandwich or 8" pizza on your birthday when you sign up for their e-club. Information: www.schlotzskys.com. SONIC DRIVE IN - Sonic will give you a choice of one of three items for your birthday. Sign up on website for Sonic Cruisers e-club. Information: www.sonicdrivein.com. SPRINKLES CUPCAKES BIRTHDAY CLUB - Sign up online for Sprinkles Birthday Club and get a free cupcake on your birthday. Information: www.ilovesprinkles.com. TGI FRIDAYS - Free dessert or appetizer now plus free line pass; free birthday treat when you join TGI Friday's "Give Me More Stripes." Information: www.tgifridays.com. "ALOUD" AT THE LOS ANGELES CENTRAL LIBRARY - Lecture series. Most programs begin at 7 p.m. in the Central Library's Mark Taper Auditorium. Wide variety of topics. Reservations required. Fall listings are now available. Information: (213) 228-7025, www.lfla.org or www.aloudla.org. "DISTINCTIVE VOICES AT THE BECKMAN CENTER" AT UC IRVINE - Insights on Science, Technology and Medicine lectures. Events usually run September through June. Lectures are at 7 p.m. in the Beckman Center on the UCI campus and open to the public. Programs are by reservation only and fill up quickly. Visit the website listed and join the e-mail list to receive notices for each session and invitations to register online. Seating is limited. Information: (949) 721-2266 or www.voicesatbeckman.org. "IRIS NIGHTS" LECTURE SERIES AND OTHER EVENTS AT THE ANNENBERG SPACE FOR PHOTOGRAPHY. - Photography-related lectures and events. Thursday night IRIS Lectures, Slide Shows and other events are at the Annenberg Space for Photography, 2000 Avenue of the Stars, Century City. Reservations recommended. Information: (213) 403-3000 or www.annenbergspaceforphotography.org. LAMPS PLUS FREE WORKSHOPS - Lamps Plus offers a variety of free 1-hour workshops throughout Southern California (Basic lighting, room makeovers, etc.). Register online by visiting the Lamps Plus website. 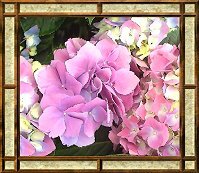 Scroll to the bottom of the home page and click "Workshops." Participants will also receive a $20-off coupon for Lamps Plus merchandise. Information: www.lampsplus.com. WEST HOLLYWOOD: CALARTS WHAP! LECTURE SERIES - Lectures in the CalArts WHAP! Series are presented by CalArts and the City of West Hollywood Arts Division. Lectures take place from 7:30 - 9:30 p.m. in the West Hollywood Library Community Meeting Room, 625 W. San Vincente Boulevard. Upcoming programs will be: November 16 - Aimee Bahng presents "Toward a Transpacific Undercommons," and November 23 - Lisa Nakamura presents "Automating Racial Empathy: Virtual Reality and the Undercommons." Information: (323) 848-6360, https://criticalstudies.calarts.edu/events or www.weho.org, go to arts. WILLIAMS-SONOMA - Williams-Sonoma offers a variety of classes in cooking techniques and junior chef sessions. No set time; check website listed for most current information. Information: http://blog.williams-sonoma.com/cat/learn/classes-events/. ZOCALO PUBLIC SQUARE LECTURE SERIES - Series of public lectures in a variety of locations throughout the Los Angeles area and on a variety of topics. Reservations are required for most events. Information: www.zocalopublicsquare.org. BEN AND JERRYS - Free scoop of ice cream when you join Ben and Jerry's "Chunk Mail" online. See site for store locations. Also, follow Ben and Jerrys on Twitter to find our where their Scoop Truck will be dishing up free ice cream treats. Information: www.benjerry.com. BRUEGGERS BAGELS - Get a free bagel with cream cheese, plus a birthday treat, when you sign up for the e-mail newsletter at Brueggers Bagels. Information: www.brueggers.com. BUCCA DI BEPPO - The Italian restaurants offer a free pasta on your next visit plus other special offers for joining their e-mail club. Information: www.bucadibeppo.com/eclub. CALIFORNIA PIZZA KITCHEN - Enroll in CPK's Pizza Dough Rewards and get a free small plate now, plus a birthday treat. Information: www.cpk.com/pizzadough. DENTAL CARE - Dentistry from the Heart provides free dental care for those in need at specific locations on specific days. Some events take place locally. See website for location and other information. Information: www.dentistryfromtheheart.org. DER WIENERSCHNITZEL - Get a free original chili dog from Der Wienerschnitzel when you sign up for their Wiener Lover's Club. Information: www.wienerschnitzel.com. FREECYCLE.ORG - The Freecycle Network is a grassroots/nonprofit movement of people in local communities giving/getting stuff for free. Information: www.freecycle.org. GODIVA CHOCOLATES - Get a free piece of Godiva Chocolate every month when you sign up for their Rewards Club. Information: www.godiva.com. IHOP - Get a free meal now, plus one on your birthday, plus another on your first anniversary of joining IHOP's Pancake Revolution. Sign up online. Information: www.ihop.com/pancake-revolution. MASSACHUSETTS INSTITUTE OF TECHNOLOGY (MIT) - Take MIT courses from home. Over 1900 courses are offered through the web in their open university program. No registration is required. Information: www.ocw.mit.edu. OPERATION SAUCE DROP - Free gift box of specialty sauces to U.S. military with an APO or FPO address. See details at "Operation Sauce Drop" on website. Information: www.carolinasauce.com. POLLY'S PIES - Get a free slice of pie plus cup of coffee for joining Polly's e-mail club. Information: www.pollyspies.com. SEA WORLD - Admission to Sea World is free for active military and up to three dependents. Registration is required; see details on website. Information: www.herosalute.com or www.seaworld.com.